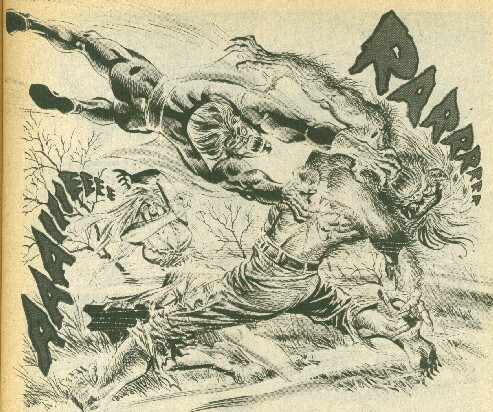 Powers/Abilities: Ronson transformed into a large, monstrous creature with enhanced strength. The monster was carnivorous and cannibalistic, with a specific taste for throats and viscera. Ronson Slade was a highly intelligent bio-chemist. (Marvel Preview#8 (fb) - BTS) - Ronson Slade was an old colleague of Michael Morbius. (Marvel Preview#8 (fb) - BTS) - Abigail Slade died. (Marvel Preview#8 (fb) - BTS) - Realizing his own mortality, Ronson began to work to develop a means to restore his youth and achieve immortality. Wisely (hint: irony) testing his chemicals on himself, Ronson instead mutated into a monstrous murderous and carnivorous creature. 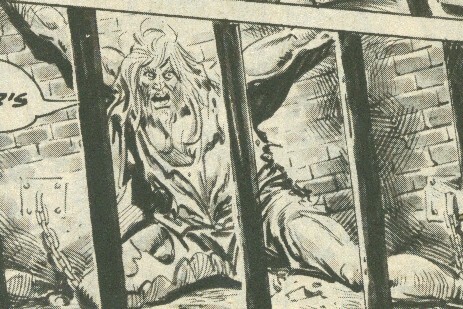 (Marvel Preview#8 (fb) - BTS) - Ronson Slade chained up his son Jeremiah in a cell in the basement of Slade Mansion, claiming that he had gone insane. Ronson kept Jeremiah away from the public due to the "delusions and wild stories" he told. (Marvel Preview#8 (fb) - BTS) - The Monster slew a number of people in Fenwick Moor, tearing out their throats and entrails, until people learned not to go out on the moors after dark. After that, the monster turned to sheep to feed on. Some people believed the murderer to be Jeremiah Slade, broken up over losing his mother, while others believed the Moor to be haunted. (Marvel Preview#8 (fb) - BTS) - Five or six years later, Morbius sent several letters to Ronson Slade, asking his assistance in treating his blood disorder. 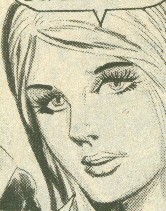 Morbius' letters included a full description of his condition, but Slade never replied to Morbius, though he did describe Morbius' condition to his daughter Mary. Eventually Morbius sent a letter telling him that he would be coming to visit him. (Marvel Preview#8) - The Monster fed on the bloodhound Angus and then his owner, Sandy Aitchinson. (Marvel Preview#8) - Morbius arrived at Slade Mansion, and Ronson apologized for neglecting him, telling him that his mind had been occupied by his efforts to find a cure for his mad son, Jeremiah. Ronson introduced Morbius to his daughter, Mary, but then excused himself, claiming to have been in the middle of a critical experiment. Morbius questioned him about the murders in the Moors--which he had heard about from a cab driver on the way to the mansion, and Ronson explained them away as having been perpetrated by a wolf or a rabid hound. Later that night, Morbius was drawn to the lower levels of the mansion by the screams of Jeremiah, and he encountered Ronson in his lab, injecting a drug into his own vein. Ronson told Morbius he was treating his heart condition, appeasing his concern. Ronson then claimed to need to sleep, promising to start working on a cure in the morning. 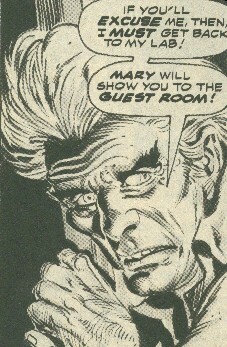 Still later, Mary visited Morbius in his room, causing him to be overcome with bloodlust and attack her. 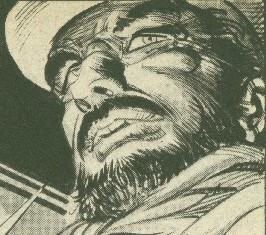 Morbius stopped himself from killing her, and Mary, believing him to be the monster of the moors, fled from him. Running into the moors, Mary was pursued by the real Monster. Morbius came to Mary's rescue, attacking the Monster, battering him senseless and then sating his hunger by draining the monster's blood. Dying, the monster transformed back into Ronson, who explained how he had become the monster. 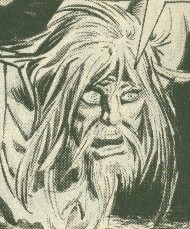 As Morbius apologized, Ronson told him that he had not murdered a man, but merely destroyed a monster, because after he had tried to conquer death, he lost whatever humanity he had once possessed. Comments: Created by Doug Moench and Sonny Trinidad. 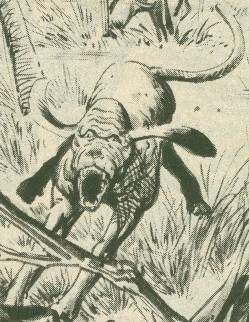 A bloodhound owned by the hunter Sandy Aitchinson, he smelled something and took off after it, only to be slain by the Monster of the Moors. 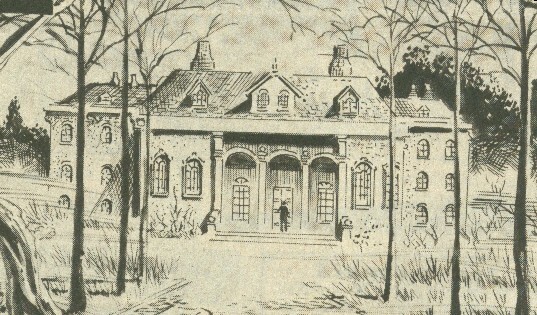 The son of Abigail and Ronson Slade and the brother of Mary, he was declared a madman and chained up in a cell in the basement of Slade Mansion. At nights he screamed and begged for someone to set him free. Morbius heard his cries and visited him, and Jeremiah told him that his father was the Monster of the Moors. It seems quite likely that Jeremiah observed Ronson transforming into monstrous form or back, and that Ronson locked him up to prevent him from revealing this information to others. Chained in the cell for years, Jeremiah--if he hadn't been insane before--eventually plunged into the depths of insanity. One would ASSume he was taken out of his cell after Ronson's death, but his ultimate fate is unknown. The daughter of Abigail and Ronson and the sister of Jeremiah, she didn't seem to be too bothered by the deaths in the Moors, by Morbius' odd appearance, or by the fact that her brother was chained up in a cell in the basement and screamed for help every night. Morbius assaulted and bit her, but he managed to stop himself before he could drain too much blood. She assumed him to be the Monster and fled into the Moors, and she was nearly killed by her own father. Morbius saved her, and she learned that her father was the Monster upon his death. 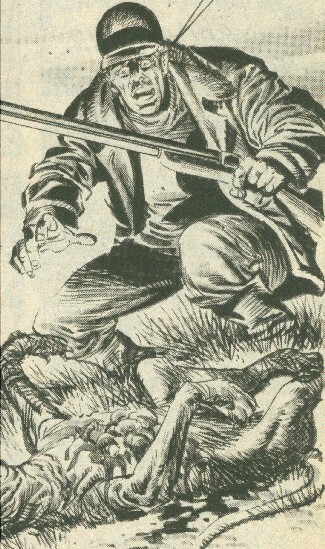 He drove Morbius to Slade Mansion, telling him of the murders in the Fenwick Moor.